NAPC has dedicated 25+ years to providing local network assistance to creative advertising marketers and focus groups supporting local businesses of all sizes. We provide our clients with Xinet production digital asset management solutions to boost productivity, and as a result increase your income. As a natural extension of our business model we started working with ProofHQ about 5-years ago, and Workfront adopted us as a co-sales partner after their 2015 acquisition. Soon after deploying Workfront two of our largest brand marketing clients announced plans to continue their use of Xinet, based on astounding prior results. For production-centric workgroups, when Xinet and “Modern” DAM solutions are put to the test our clients always choose Xinet. Xinet and Workfront The best of Both Worlds…. We Know Change Is Hard..
Creative Marketing Advertisers utterly freak out when they hear of some grand plan involving moving their very large (~ 10-100TB) work-in-process data volumes from a clunky old current in-house server room/closet to some sleek new cloud-based data repository. Clients that prefer to inappropriately web-host production-oriented digital assets find themselves struggling to keep up and start getting the “deer-in-the-headlights” look; others simply stare down at the floor and politely shake their heads “no;” the rest just outright rebel. With web-hosting production assets comes wasted time, energy, and high levels of disruption. Before anyone can even begin a task, they find themselves killing time with extra coffee breaks and checking email all the while waiting for files to load, and either fear being fired for lagging productivity or feeling the need to eventually quit due to coffee interrupting sleep. Each client ultimately came back to us a couple months later with the same request: “Can you help us connect our Workfront projects to our Xinet assets?” We, of course, said “sure” and then went to LEAP to show off our seamless, bi-directional Workfront-Xinet interoperability. If you didn't know already, NAPC has added Enfocus Switch, PitStop and Connect to its production-enhancing toolbox. While most everyone has heard of or used PitStop to verify and repair PDF files, let me introduce you to Switch and share with you some of its wicked-cool features. Switch is a modular and 'open' workflow automation solution that's, 'just right'. By that I mean, it fits. It fits right in between Xinet's Triggers & Actions and Dalim Software's TWiST when comparing features, capabilities and cost of ownership. First off, Switch can do anything Triggers & Actions can do. And when it comes to 'set-up' or 'configuration', it's no contest -- there's a rudimentary interface for Triggers and Actions and an intuitive, interactive one for Switch. In Switch, you simply drag-n-drop the Flow Elements on the canvas and join them with Connectors. 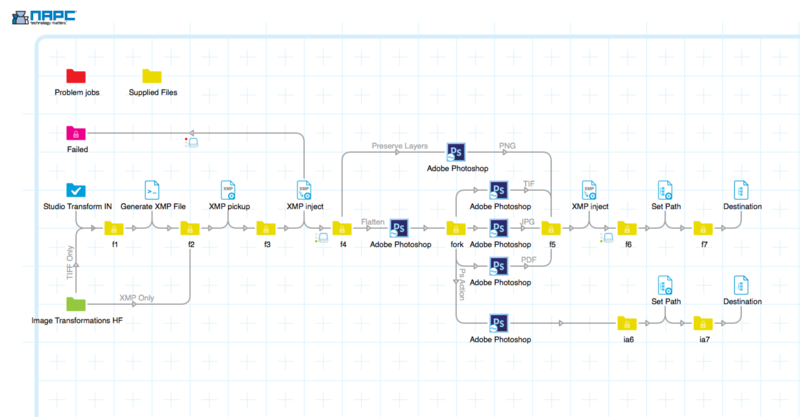 When done assembling and configuring, save the workflow (Flow) and activate it. Switch is highly modular; you only purchase the modules you need. Starting with the Core Engine, Switch's capabilities are expanded with the optional modules: Configurator, Metadata, Database, Scripting, Performance, Switch Client, Web Services and Switch Proxy. As you would expect, Switch seamlessly integrates with PitStop Server and Connect to form a dynamic, end-to-end workflow. If this isn't enough to get you thinking about seeing, or better yet, owning Switch, there are three things that make Switch peerless. First, Switch is always 'current' as its processing power comes from the applications you already own. As those apps are updated, new Configurators are made available via the Pack Manager. Since Switch automatically checks for new Configurators each time it is launched (or you can check for updates manually) the production environment is perpetually kept up to date. Second is the Enfocus Appstore. Like Apple's App Store, the Enfocus Appstore serves as a co-creation platform where you can buy custom Flow Elements (tools) that extend your Switch Flows. Need a special gadget? Check the Appstore. Better yet, if you solve a particular workflow problem/need with a custom script, you can package it and post it for sale! Lastly, there is Enfocus Forum, a vibrant, international community of contributors for exchanging tips, tricks and opinion. School is in session with our very own Solutions Architect and TWiST Expert, Scott Tully. It is time to get out of Spring Break mode and get ready to learn 5 Things You Didn't Know You Could Do In DALiM TWiST. This is 5-part video series, aims to educate and enlighten users and administrators of Dalim TWiST by illustrating the capabilities of the TWiST software as pertains to workflow engineering and graphic arts production. As the theme implies, the TWiST toolbox is so intuitive, users quickly achieve their workflow objectives and stop, never realizing all the workflow automation and intelligence that TWiST has to offer. Episode One: "Stick a FORK in it" contrasts the methodolgy of building TWiST workflows with multiple branches versus a linear workflow featuring the TWiST Basic Tool: Fork. Episode Two: "Hidden in Plain Sight" illuminates the documented, yet overlooked PDF concatenation feature of the FilterGroup tool, providing the fundamentals of the tool's configuration and demonstrating its unique feature. Episode Three: "All Good Things" introduces TWiST's capability of providing for 'conditional pauses' based on logic as expressed within the WaitOn tool. Episode Four: "Six Ways To Sunday" : "Six ways to Sunday" moves away from the tool-based example and conclusion model, revealing a unconventional approach to TWiST's input methodology. Episode Five: "X Marks The Start": Turns conventional usage of TWiST on it's head, introducing SetParamFromXML's ability to translate a spreadsheet into a "run list" as well as some additional, helpful programmatic "X's". Tully has produced this video blog series to share both his passion for, and intimate knowledge of, all things TWiST, knowing you would appreciate the timely tips or insightful reminders about this specific tool or a underlying feature. We are confident that the 5 Things series will ignite your imagination and fuel your pursuit of ever more efficient, effective TWiST workflows. Each video in the 5 Things You Didn't Know You Could Do In DALiM TWiST series is a run time of less than three minutes, and each episode is sure to enlighten or remind users that there is always more than one way to get things done. As a member of NAPC's customer-focused, technology-taming Customer Support team I passionately advocate and support our customer's [your] investment in Dalim Software's industry-leading solutions TWiST, DiALOGUE and ES. Today, I'd like to share with you and perhaps get you thinking about customer-facing 'branding' opportunities within ES. I would imagine that many of you ES administrators have already achieved some 'branding' knowingly or un-knowingly when you used the Customization-Theme Configuration feature to add your organization's logo to the Login Screen? How about applying your own colors to the ES interface? Sure you have. Since you [may] have created a custom look and feel for your ES users and customers, why not consider applying your custom theme to some new, branded e-Mail templates! Your ES 3 installation came with (8) e-Mail templates and (11) default Notification templates. For this exercise and introduction, we'll choose the File Event condition as our E-Mail template source and create a new template by modifying it. You don't have to be a programmer or .html wiz to edit the templates, so please, keep reading. If you are a wiz, consider sharing what you've learned with a coworker and helping them along. Regardless, everything you will need can be found in tools you use everyday and the 'know-how', trust me, you already have it. Let's start by identifying some 'parts' you will be adding to the template to achieve some enhancement. Color. You'll need to determine the hexidecimal value of the color you will be applying [ex:#bf2e1a] and a raster version of your logo. Your art or logo file should be in [.png, .gif .jpg] format using the RGB colorspace. Indexed or Greyscale colorspaces will also work. 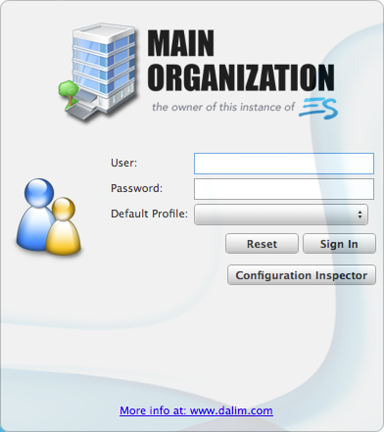 Login to ES as an Administrator. Select "Administration" mode and then navigate to and open the File Event E-Mail template. In the message body, Select All and Copy to capture the entire message body. Launch your text-editing application and Paste the message body into a blank document. It's a good idea to perform Save As... "File Event" so you have a backup of the E-Mail template [for safekeeping]. In the message body, Find and Replace "#252525" with your color. Find and Replace "header.png" with the exact name of your logo [ex: my_logo.png]. So far so good? Now perform a Select All, Copy. Click in the message body area and Paste your edited message body into the template. Click OK to close the template editor window, and then click Save to update your File Event template. That's it, the editing is done. Returning to ES, perform an action in ES that will trigger a File Event Notification condition, and check your E-Mail. There is your newly 'branded' E-Mail message! Okay, before you get too excited (and waste alot of time designing a masterpiece) allow me to make an important point: ES 3 E-Mail templates must be under 2048 bytes. Yes, that's bytes. To put that number into perspective, this blog message would have ended six sentences ago at the [EOF] marker! The upside is, you can get some attractive results and stay under the 2048 limit with a bit of trial and error. So keep at it. I am confident that you'll be successful in adding a little style to your messages, even with the size restriction. Now, the good news is, we all can also look forward to a better branded future in ES. That's right, the engineers at Dalim Software are aware of [yours, mine and] the marketplace's desire to design and compose attractive, branded E-Mail messages and have taken action to relax the size restriction in the next "dot-oh" release of ES...ES 4.0. We're a bunch of performance geeks here. We've been tweaking blocksizes, stripe, and interleave settings on disk since SGI first gave you access to 'em. Tuning and re-tuning SWAP size, location, type is in our blood. A few percentage points here, double digit gains there, all without more capex. Gotta love it. Now, anytime a paradigm shift in technology comes out there's a steep cost differential to it, right? 10Gb networking had only a tiny little blip of time when it was out of reach of the masses, which is a refreshing change. You can kit out most servers with a card, an acceptable managed switch with a 10Gb port or two, for a very reasonably cost. Why go to 10? Our desktops have had Gb cards for what seems like forever, and very fast CPUs. With just a couple 'power' users you could swamp the networking capabilities of a server. Of course, a handful of years ago disks could only cough up 150Mb/sec or so of sustained data, so network tended to not be the gating factor in server performance. Modern disk starts at well over 300Mb/sec, and if you stripe or otherwise use some common sense design principles you can achieve multiples of that. Xinet and NAPC both use the 1 to 6 rule for users and performance: with 6 retouchers (or 'power' users), you can assume 1 of them will be accessing the server at one time. 12=2, 18=3. It's a rough rule of thumb, but one that seems to stand up over time. 12 heavy hitters can thus drain 120Mb/sec out of a server, which is the better part of 2 1Gb cards bonded together. Add in the other users, doing layout, OPI printing (yep, some folks still use an OPI workflow), and Portal access, you've got a saturated pipe. 10gb gives you a good 800mb/sec of access speed, which will sate all but the most demanding organizations needs for data. Next of course, we can talk about teaming 10Gb interfaces! (insert evil chortle of delight here). Some people actually prefer to work from the command line in a terminal window. I know! Can Ya' believe it! I had a client call in looking for a way to create a series of "Move Actions"
WebNative Venture action, but... command line creation fit the bill. an automated filing system with Triggers for uploaded assets. Here is a sample move action called: "Acme Widgets Incoming"
# cat "Acme Widgets Incoming"
It's pretty simple once you compare the GUI to the code settings. arg0, value, is the destination path we want to move the asset into. arg1, value=O, is the 'Overwrite' selection. each one to know the 'value' to assign. in the WebNative browser window. "Acme Widgets Incoming"
From the command line copy the master to the next client name and then edit the value path. In the terminal window navigate to the action settings folder. Copy paste the master setting to the new client name. cp "Acme Widgets Incoming" "Spacely Sprockets Incoming"
Edit the new setting "Spacely Sprockets Incoming" for the correct path-to-folder. 300 move actions, to file uploaded assets into the correct client folder automatically. All done by lunch time..! So here I go a blogging away. I'm not too sure of how to start because usually I'm following an agenda of some kind, or a question to start with. Someone has a problem or a challenging workflow to configure. Blogging is more free flowing, I guess... We'll see. 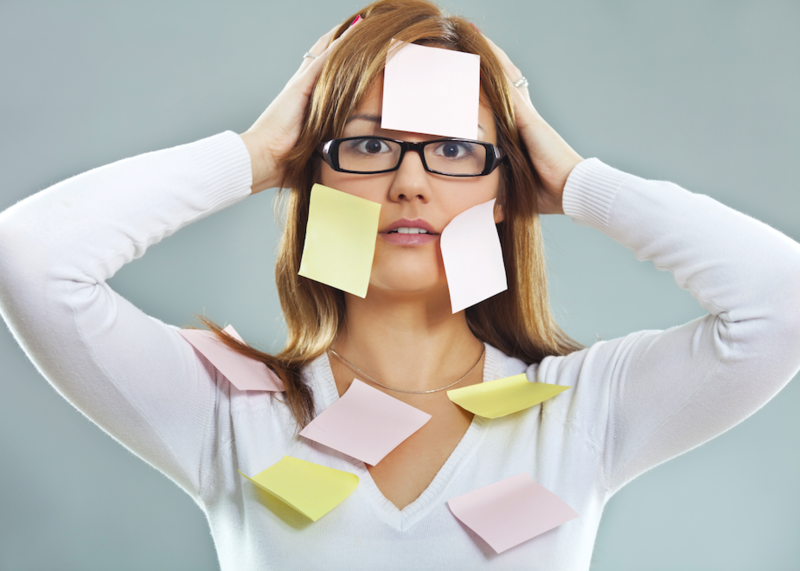 I do a lot of training for new clients and there is so much information to absorb that they can easily become overwhelmed & overloaded. As they get use to the system they'll Venture further (pun intended) and start looking for cleaner ways to use their new system. But not many will make that leap and really push the limits of what they can get out of it early on. There's way more power under the hood. The problem I find so often is that people have an idea of what the server can do but aren't sure how to get there. And that stops them. At that point, the thing that most often drives them is a client request, or the boss (every one has a boss...) saw a Webinar about some cool widget and wants it created. Is it done yet? "If I wanted it tomorrow, I'd be asking for it then. I want it now!" Then the calls start coming in in earnest. Which is great for me because now I have something to dig into. A new challenge. But I wonder how do we get people to push the envelope before they get the push themselves? It's training, and it's knowledge. NAPC runs Webinars' all the time on different applications, from FullPress, the Venture database, to Dalim Dialogue or the Xinet Uploader. Sharing the knowledge is driving the train here! Do you have an idea for a Webinar you'd like to see. Tell us. Got an idea for any Trigger automations, let me know. If you can conceive of it, we can build it... well, I'm looking for the stuff we can build out-of-the-box. Custom stuff comes later.